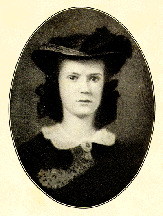 Sarah Morgan Dawson, 1842-1909 A Confederate Girl's Diary. Boston; New York: Houghton Mifflin Company; Cambridge, Mass. : The Riverside Press, 1913. Dawson, Sarah Morgan, 1842-1909 -- Diaries. Girls -- Louisiana -- Diaries. Women -- Louisiana -- Diaries.